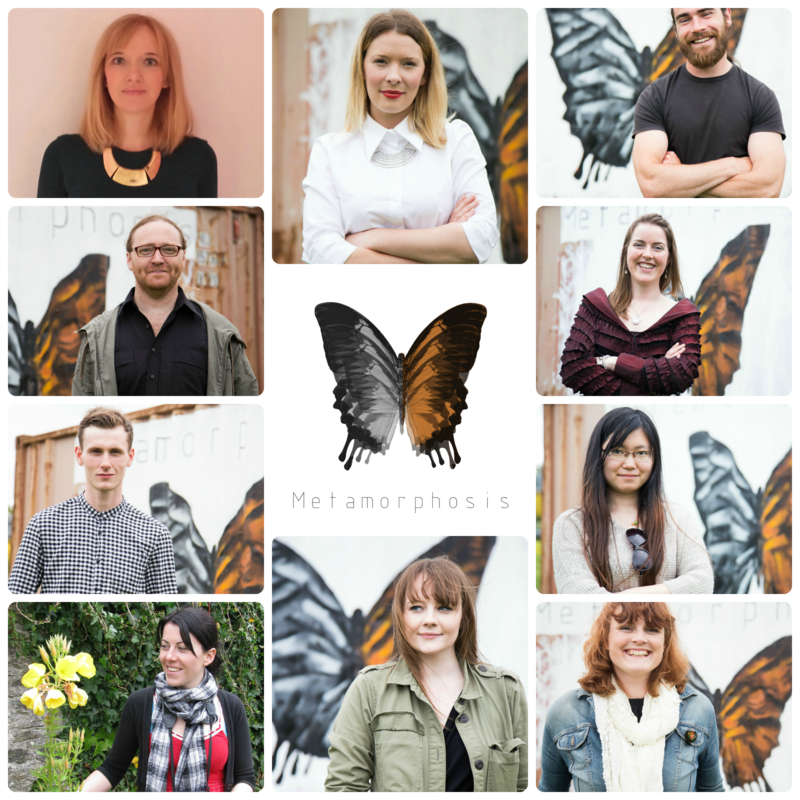 The Metamorphosis Team are absolutely thrilled to announce the launch of our multidisciplinary project planned for February 2016. The project has been in formation for many months, growing a team of vibrant, talented young artists and academic researchers with a synergy of knowledge, ideas and creative practice. The idea behind the project first sprung to our founder, Jennifer Halton, in late 2014, as she explored the need for increased collaborate exchange within academia. Passionate about the potential behind collective research and practice, and creating spaces that foster dynamic exchange and disciplinary diversity, she wished to explore the idea of bringing together a group of people from different backgrounds who would normally work independently of each other, and see what happened when they worked under the same roof. The result is what what you see in front of you today on our website, a pop-up art exhibition and research symposium that will explore the theme: Metamorphosis | Art as Research. Research as Art. The project’s name, Metamorphosis, connotes and extends the concept of positive transformation, changing one form into something new and dynamic. This concept is carried throughout the entire event, from our pop-up gallery, to the content of the exhibition, the site in which it is located, and the discourse of transformation that will take place during our symposium. Gallery: Our gallery itself will encompass a functional and visual metamorphosis, for the shipping containers that will house our artworks will be transformed from industrial units of transportation into a temporary cultural and artistic landmark in Dublin city centre. Content: The multimedia artworks on display will be the result of a unique collaboration between 5 artists and 5 academic researchers. 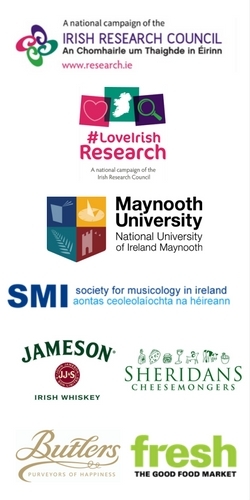 The artists will transform 5 text-based/ experimental studies into representational forms that will promote a new understanding of and public engagement with work being carried out in various educational institutes in Dublin and Kildare (specifically MU & TCD). Site: What normally functions as a daily communal space for local residents and municipal workers will be transformed as a site of spectacle and attraction for the period of one week in February 2016. Discourse: The exhibition and symposium will extend the range and nature of engagement offered to audiences in and around Smithfield Square by punctuating the normative discourse that takes place within this area, inspiring new questions and ideas on the theme of positive transformation, specifically those that highlight the social and cultural impact of collaboration. Over the course of the coming months, in conjunction with the events that will take place in 2016, the project will build a digital archive of the collaborative journey undertaken by our team members through our website’s blog. We will bring you the ideas, research content, and artistic process behind the project in a series of blog posts authored by each of our members. This archive will be a useful resource not only for those interested in the project itself, but to those who wish to engage directly with our members, interacting with their research and practice, and exchanging smilier experiences. We hope that our blog nurtures an open dialogue on the theme of collaboration, and can be used as a site of networking for the creation of future partnerships. We encourage interested visitors to our site to get in touch with our members over the coming weeks and months should you wish to engage with the project in any way. We are all thoroughly excited about the future of Metamorphosis and cannot wait to see it grow from strength to strength as we kick start our fascinating journey. Thank you to all who have made this project happen thus far, and we look forward to what is set to be an exciting experience with great scope for future collaboration.